While comparisons between Donald Trump and Mussolini or Hitler are overwrought, Trump’s rise does illustrate how democratic processes can lose their way and turn dangerously toxic when there is intense economic frustration and widespread apprehension about the future. This is especially the case when some previously respected leaders scurry to make peace in a new order — yes Chris Christie, I mean you. Trump has already flirted with the Ku Klux Klan and disparaged and demeaned the female half of our population. He vowed to kill the families of terrorists, use extreme forms of torture, and forbid Muslims from coming into our country. Time and again, he has claimed he will crush those who stand in his way; his promised rewrite of libel laws, permitting the punishment of The New York Times and Washington Post for articles he does not like, will allow him to make good on this threat. Even the possibility of Trump becoming President is dangerous. The economy is already growing at a sub-two percent rate in substantial part because of a lack of confidence in a weak world economy. A growing sense that a protectionist demagogue could soon become President of the United States would surely introduce great uncertainty at home and abroad. The resulting increase in risk premiums might well be enough to tip a fragile US economy into recession. And a concern that the US was becoming protectionists and isolationist could easily undermine confidence in many emerging markets and set off a financial crisis. The geopolitical consequences of Donald Trump’s rise may be even more serious. The rest of the world is incredulous and appalled by the possibility of a Trump presidency and has started quietly rethinking its approach to the United States accordingly. The US and China are struggling over influence in Asia. It is hard to imagine something better for China than the US moving to adopt a policy of ‘truculent isolationism.’ The Trans-Pacific Partnership, a central element in our rebalancing toward Asia, could collapse. Japan would have to take self-defense, rather than reliance on American security guarantees more seriously. And others in Asia would inevitably tilt from a more erratic America towards a relatively steady China. There are two levels of illogic here. First, even the most ardent libertarian recognizes the need for antifraud statues, limits on what can be contracted, and requirements of tax withholding, so the general principle that government should not affect the conduct of private business is absurd. Second, it is surely a stretch to assert that ceasing government’s active effort to circulate and print 500 euro notes or $100 bills constitutes a government infringement on the conduct of private economic business. Do the Journal editors believe that liberty was constrained by the US decision in the 1960s to stop printing $1000 dollar bills or to stop issuing bearer bonds? Surely it is not a government’s obligation to provide every means of payment or store of value that someone might choose to use. Nor, it should be emphasized, did the abolition of the $1000 put us on any kind of slippery slope to monetary perdition. Our advocacy for the elimination of high denomination notes is based on a judgment that any losses in commercial convenience are dwarfed by the gains in combatting criminal activity, not any desire to alter monetary policy or to create a cashless society. We take no position on the desirability of negative interest rates but are convinced by the arguments of JPMorgan, Miles Kimball and others that significantly negative rates can, if desired, be maintained without any limitation on currency through bank withdrawal fees. And we believe that for the foreseeable future there will be a role for cash in modern economies though we would not be surprised if in many contexts its transactions costs come to exceed those of various electronic payment schemes. No ATMs in Europe offer 500 euro notes and very rarely do American ATMs offer $100 bills, so we are highly skeptical that legitimate commerce for the vast majority of law abiding citizens will be impacted. Only the affluent will be affected at all and we do not think that giving a grandchild five $20 dollar bills rather than a single $100 or tipping a caddy with three $50 bills is too great an inconvenience relative to the benefit of inhibiting criminal activity. There are 30 US $100 bills in circulation for every man woman and child, and more than 300 billion euro in 500 euro notes. As Peter’s paper documents, the vast majority of this currency is involved with activity that is at a minimum problematic, and often criminal. This inference for Europe is supported by the observation that high denomination note issuance relative to GDP is nearly 20 times as high in Luxembourg, a traditional haven for illicit activity, relative to the rest of Europe. We agree with the philosophical position of the Wall Street Journal that governments should do only what is necessary and that excessive government activity is dangerous. That is why we favor an end to the further printing of high denomination notes. Peter Sands is a Senior Fellow at the Mossavar-Rahmani Center for Business and Government at the Harvard Kennedy School and the former Chief Executive Officer at Standard Chartered Bank. Lawrence Summers is a professor at and past president of Harvard University. He was treasury secretary from 1999 to 2001 and an economic adviser to President Obama from 2009 through 2010. He serves as an advisor or board member to a number of financial technology and payments companies. I was privileged this morning to deliver keynote remarks at the release event for the Global Health Risk Framework Commission report on “The Neglected Dimension of Global Security: A Framework to Counter Infectious Disease Crises”. The commission, convened by the National Academy of Medicine and chaired by Peter Sands, has delivered a very important report on what I think is the issue with the highest ratio of seriousness to policy preparation in the global system. Indeed, for reasons I sketched in my remarks, I believe the threat to global well-being from pandemics over the next century is comparable to the threat from global climate change. I began by expanding on why I think pandemics are such an important issue. The global mortality rate from the flu pandemic of 1918 was 7000 times as large as from the recent Ebola outbreak. AIDS profoundly changed the human experience in Africa. No one knows the probability of a recurrence of these kinds of disasters. History is too short to permit reliable estimates and in any event conditions are rapidly changing because of scientific improvements on the one hand, and huge increases in global interconnection on the other. In related work, Dean and I with Victoria Fan calculate the potential cost of a 1918 flu recurrence, discounted by its chance of happening. We expect to publish this work soon. On plausible assumptions we find an expected flu cost approaching $1 trillion a year going forward into the 21st century. This underscores the urgency of doing all that can be done to counter pandemic risks. Eisenhower famously said that “in preparing for battle, I have always found that plans are useless but planning is indispensable”. So also with the pandemic threat, which is what makes the GHRF report so important. I have three main takeaways from its consideration of the Ebola experience and its stock-taking of the current global architecture. First, this is an area where the urgent has crowded out the profoundly important. In too many countries, pressing near term needs and budgetary pressures have prevented the establishment of necessary infrastructures for public health. Such resilient health systems would be a high payoff investment even if catastrophe never comes and would be transformative if and when catastrophe comes. Second, the international system needs to do more to clarify responsibilities and authorities when the next emergency comes and to put in place financial mechanisms for rapid action. Given the nonlinear exponential character of pandemic processes this is of the highest urgency. Third, there is a need for more and better science both ex-ante and ex-post after a pathogen is identified. I will never forget my friend Barry Bloom, former Dean of Harvard’s School of Public Health, asking me how I would prefer to have spent money in the 1950s: on scholarships for iron lungs or on supporting Salk and Sabin. There is much here that science could be doing but currently is not. Given that profiting hugely in time of pandemic is unacceptable, markets provide insufficient incentives for gaps to be filled. As such, pre-emptive research is fundamentally important. Brad is unpersuaded by my response. He is broadly right in my view that models function both as discovery tools and as ways of organizing and codifying thought. The danger comes when too primitive a model is regarded as too powerful a discovery. Thus Krugman was right to recognize that first generation models of currency crises were an inadequate basis for making policy in response to many actual currency crises. On the issue at hand my judgement is that excessive spending and fear of a sudden stop can push the IS curve back leading to contractionary capital outflows. I cite the work of Blanchard et al in support of this proposition. With a bit of political economy, the argument can be extended. Suppose countries in danger of high inflation are more likely to turn populist. It was Keynes after all who introduced animal spirits and warned Roosevelt about business confidence. Again, I don’t think any of this is of concern for the US right now and I think my track record in favor of fiscal expansion notably in my work with Brad is clear enough. The point though is that responsible policy makers like Janet Yellen and Stan Fischer may sometimes come to judgements different from mine. I find it unhelpful and likely wrong to attribute this to a failure to understand and appreciate basic macroeconomics. Paul now offers some observations. He is right that we are not all very far apart. I agree with him that one needs more than attitude, one needs a logically consistent view of how the world works. As my response to Mike Spence and Kevin Warsh illustrates I too am impatient with fear mongering attitude as an approach to analysis. We have I think two remaining disagreements. First, I am more willing than Paul to credit the possibility that people with substantial experience and even a track record of making money by predicting markets, have important insights even if they cannot speak the language of “models” in the way I teach in economics. Hyman Minsky is an example of a scholar whose warnings were ignored in part because they were not formalized not because they were incoherent or illogical. Second, on the issue of confidence crises I think Paul is way too serene for reasons Blanchard’s work makes clear. If loss of confidence in their government or economy makes people less wealthy, they will spend less and that is contractionary. This objection may for some reason be wrong but I do not see why it should be dismissed apriori. This is a case where I think reliance on formalism may lead people astray. The Hutchins Center for Fiscal and Monetary Policy at Brookings is having a conference launching an important new volume on federal debt management policy. Just as in the Great War in became clear that war is too important to be left to generals, so too in the Great Recession it became clear that (government) debt management is too important to be left to the parochial world debt managers. The composition of federal debt is itself often a useful tool for economic policy, particularly in the current low rate environment in which the Federal Reserve will frequently be unable to cut rates as much as it would like and will instead be reliant on “unconventional” policies intended to effect the price of government debt. Edited by David Wessel the volume contains two chapters that I coauthored with Robin Greenwood, Sam Hanson, and Josh Rudolph as well as some separate comments of mine. There is also a provocative paper by John Cochrane and a variety of perceptive commentaries by people with experience in debt management policy. I think the volume makes a case for quite radical revisions in thinking about debt management policy. Here are my 10 main takeaways starting where I am most confident. Debt management is too important to leave to Federal debt managers and certainly to leave to the dealer community. This is because, especially when interest rates are near zero, it implicates directly monetary and fiscal policy and economic performance in the short run, and questions of financial stability in the medium run. Whatever one’s view about desirable policy, it is fairly crazy for the Federal Reserve and Treasury, which are supposed to serve the national interest, to pursue diametrically opposed debt management policies. 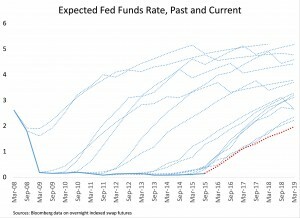 This is what has happened in recent years with the Federal Reserve seeking to shorten outstanding maturities and the Treasury seeking to term them out. Standard discussions of QE — which focus on the size of Fed purchases of long term bonds and ignore the scale of Treasury sale of these instruments — are intellectually incoherent. It is the total impact of government activities on the stock of debt that the public must hold that should impact financial markets. The preceding point is highly significant for the United States. Despite QE the quantity of long term debt that the markets had to absorb in recent years was well above, rather than below, normal. 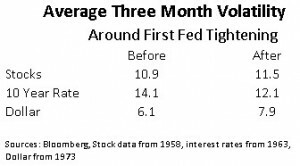 This suggests that if QE was important in reducing rates or raising asset values it was because of signaling effects regarding future monetary policies not because of the direct effect of Fed purchases. The standard mantra that Federal debt management policies should seek to minimize government borrowing costs is some combination of wrong and incomplete. It is wrong because it is risk adjusted expected costs that should be considered. It is incomplete because it is hard to see why the effects of debt policies on levels of demand and on financial stability should be ignored. The tax smoothing aspect, which is central to academic theories of debt policy, is of trivial significance. Even far larger levels of tax variability than we observe, or than could be offset by altered debt management policies, have only trivial impacts on levels of income. It is much more important to understand debt management policy impacts on financial stability than on tax variability. The idea of rollover risk that is ever present in policy discussions is very confused. If there is the possibility that a period will come when the government’s borrowing rate will be very high this obviously needs to be considered in setting policy. But the problem is not one of rollover. To see this, think about long term floating rate debt. Such debt does not offer insulation in the hypothetical circumstance where rollover would be difficult, because in such a situation floating rate debt yield will rise precipitously. Yield curves typically slope upward. The “carry trade” of borrowing short and lending long is a hedge fund staple. Rather than providing this opportunity Treasury should reverse the trend towards terming out the debt. Issuing shorter term debt would also help meet private demands for liquid short term instruments without encouraging risky structures like banks engaged in maturity transformation. 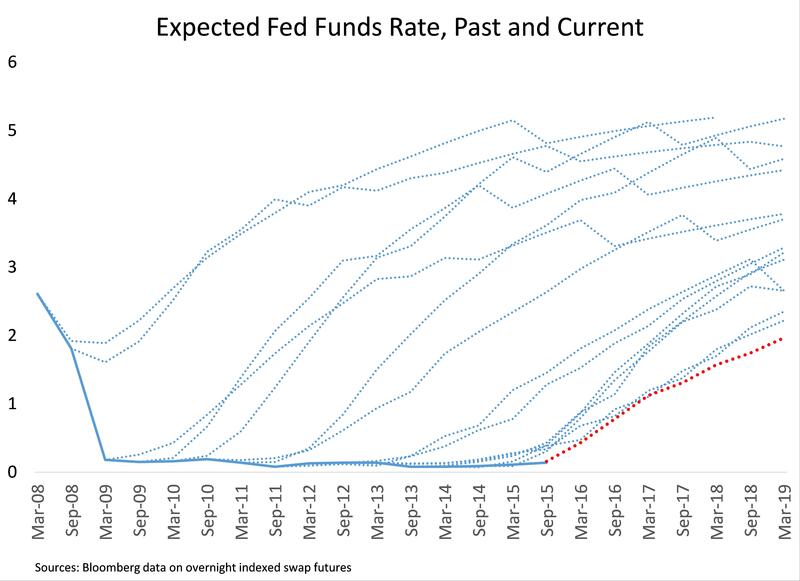 Institutional mechanisms should be found to insure that in the future the Fed and Treasury are not pushing debt durations in opposite directions. The Treasury terming out the debt which the Fed then buys in an effort to quantitatively ease serves only to enrich the dealer community. Now that we are in a “secular stagnation” world of low interest rates, it is likely that debt management tools will be more important to stabilization policies in the future than in the past. An ebook containing the papers and presentations from the European Central Bank’s central banking forum conference in Sintra Portugal is now available. Mario Draghi and his colleagues are to be greatly commended for running a forum that is so open to profound challenges to central banking orthodoxy. The volume contains a paper by Olivier Blanchard, Eugenio Cerutti and me on hysteresis and separately some of my reflections asserting the need for a new Keynesian economics that is more Keynesian and less new. Here I summarize these two papers. This finding does not in and of itself establish the importance of hysteresis effects. It might be that when underlying growth rates fall recessions follow but that recessions have no causal impact going forward. In order to address this issue we look at the impact of recessions with different precursors. We find that even recessions that are associated with disinflationary monetary policies or the drying up of credit have substantial long run output effects suggesting the presence of hysteresis effects. In subsequent work Antonio Fatas and I have looked at the impact of fiscal policy surprises on long run output and long run output forecasts using a methodology pioneered by Blanchard and Leigh. Since fiscal policy effects operate primarily through aggregate demand, this provides a way to avoid the causation question. We find that fiscal policy changes have large continuing effects on levels of output suggesting the importance of hysteresis. I was struck that in a vote taken at the conference close to 90 percent of the participants indicated that they believe there are significant hysteresis effects. While there is much more work to be done, I believe that as of right now the right presumption is in favor of hysteresis effects despite their exclusion from the standard models used in almost all central banks. My separate comments in the volume develop an idea I have pushed with little success for a long time. Standard new Keynesian macroeconomics essentially abstracts away from most of what is important in macroeconomics. To an even greater extent this is true of the DSGE (dynamic stochastic general equilibrium) models that are the workhorse of central bank staffs and much practically oriented academic work. As macroeconomics was transformed in response to the Depression of the 1930s and the inflation of the 1970s, another 40 years later it should again be transformed in response to stagnation in the industrial world. Maybe we can call it the Keynesian New Economics. Paul Krugman suggests that I have had some kind of change of heart on secular stagnation and converged towards his point of view, citing the publication of the transcript of a 2011 debate which we both participated in. 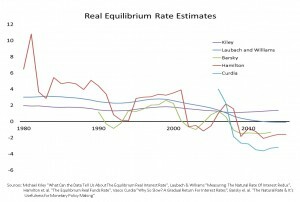 I certainly appreciate the gravity of the secular stagnation issue more than I did a few years ago, given the continuing decline in global real interest rates. But I think Paul exaggerates the change in my views considerably. The topic of the debate was: “North America faces a Japan-style era of high unemployment and low growth.” Paul argued in favor. I opposed the motion – not on the grounds that the US economy was in good shape, but on the grounds that our demand deficiency problems should be easier to solve than Japan’s. “You’re right the United States has a serious demand deficiency. You’re right that not enough is being done to contain that demand deficiency. You’re right that we will suffer needless unemployment and stagnation until more is done to address that demand deficiency…. “The question is, are we going to be stuck in a state of depressed demand of the kind that Larry has talked about. Larry and I agree that that is what has been happening… I think Larry and I agree almost entirely on the economics, on what needs to be done”. I think we have both been focused on demand and the liquidity trap for a long time. Second, I have never related well to Paul’s celebrated liquidity trap analysis. It has always seemed to me be a classic example of economists’ tendency to “assume a can opener”. Paul studies an economy in liquidity trap that will, by deus ex machina, be lifted out at some point in the future. He makes the point that if you assume sufficiently inflationary policy after this point, you can drive ex ante real rates down enough to stimulate the economy even before the deus ex machina moment. This is true and an important insight. But it seems to elide the main issue. Where is the deus ex machina? Where is the can opener? The essence of the secular stagnation and hysteresis ideas that I have been pushing is that there is no assurance that capitalist economies, when plunged into downturn, will over any interval revert to what had been normal. Understanding this phenomenon and responding to it seems the central challenge for macroeconomics in this era. There are many compelling arguments for increasing American infrastructure investment. Capital costs are exceptionally low. Construction labor is highly available. Materials costs are low as commodity prices have fallen. Investment is low by historic standards. Investing today relieves the burden for deferred maintenance from future generations. Here is another one. Maintaining our infrastructure directly benefits American families and businesses because with fewer potholes they have to spend less maintaining their vehicles. This effect turns out to be surprisingly large. TRIP, a transportation research group, estimates that the cost to motorists of driving on roads in need of repair in 2013 was $109 billion. 1 This includes only extra vehicle repair and operating costs, and not the delays caused by driving on poor roads, so is almost certainly an underestimate. On the other hand, even with proper polices some potholes would remain. To be very conservative assume that proper infrastructure investment policies would save motorists half the total, or $54 billion a year. How large is this figure? It is comparable to total consumer spending of $49 billion on air transportation or $53 billion on personal computers 2. As another way of seeing its magnitude, it works out to 40 cents per gallon gasoline consumed in the United States 3. So if we were able to raise the gas tax by 40 cents and repair our highways and roads, we would create no new net burden on consumers: the benefit in reduced vehicle operating costs would at the very least offset their higher gas bills. In fact since our cost estimate is conservative, the net effect on consumers would most likely be positive. And as is fair, those who drive the most would both pay the most and benefit the most from reduced repair costs. Even after a 40 cent gasoline tax, gas would still be only 82% as expensive as a year ago and 79% as expensive as 2 years ago 4. A gas tax to finance road repair is about as close to a free lunch as we can ever get in economics. One of the things I am proudest of having done in Washington was having the idea as Chief Economist of the World Bank that the Bank should devote its annual World Development Report to making the case for improving both the quantity and quality of global health investment. The 1993 report produced by a team led by Dean Jamison proved more influential than I could have hoped, not least because it drew Bill Gates into the global health arena. The Report made a strong case that the benefits of the right health investments far exceed the costs. Indeed, I believe the moral and economic case for investments in health care–both prevention and treatment–is as or more compelling than in any other area in the developing world. The dramatic declines in child mortality and increases in life expectancy demonstrate that policy can make an immense difference. Dean and I chaired a commission, timed to coincide with the 20th anniversary of the initial report, under the aegis of the LANCET. The commission took stock of the remarkable progress made over the last 20 years and emphasized what is possible over the next generation. The primary conclusion of our commission was that our generation has the opportunity to achieve a “grand convergence” in global health reducing preventable maternal, child, and infectious diseases to universally low levels by 2035. We further concluded that the necessary investments would have benefits that exceeded their costs by a factor of 10. But we cautioned that grand convergence would not just happen. It would require commitments to health system reform and to new domestic and international resources that go well beyond what is in place today. All of this seems immensely relevant as world leaders gather in New York this week to to agree on a bold new global agenda for sustainable development. The breadth of ambition embodied in the 17 Sustainable Development Goals and the associated 169 targets is truly inspiring and a tribute to the moral energy of many leaders in and out of government. But there is the risk that with so many priorities, there will be insufficient focus on the most important and achievable objectives. I was therefore excited when the Rockefeller Foundation asked me to work with them to develop a Declaration that a broad spectrum of economists could issue underscoring the importance of global health efforts. The 266 economists who have joined our declaration come from 44 countries and at least as many political and ideological perspectives. But they are united in their belief in the importance of expanding and improving health care globally. Our Declaration was published in the LANCET last week and is summarized in a full page New York Times ad that is running today. I hope the world listens. Millions of lives are at stake.